Liver disease is very serious, requiring advanced techniques to help relieve symptoms and protect the long-term health and function of the liver. 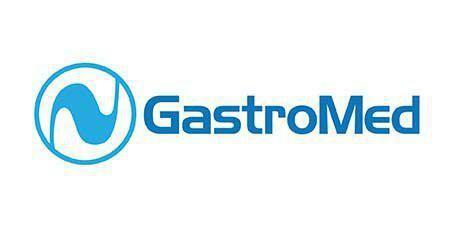 As a top-ranked gastroenterology practice in Miami, FL, GastroMed uses state-of-the-art methods to diagnose the cause of liver disease so patients can get the most appropriate treatment for their needs. Liver disease can have different causes. Some types of Liver disease like hepatitis can be caused by contaminated food or water or, more commonly, from coming in contact with another infected person’s blood or bodily fluids. Other types of liver disease and damage can be caused by cancer or some systemic illnesses, or from long-term use of alcohol or certain medications, including some common over-the-counter medications. Even an excess of some vitamin supplements can cause the liver to become damaged or diseases. The liver performs an essential role in digestion, and it also helps filter toxins out of the bloodstream. Many medications are processed in the liver, and patients who take certain medications will need to have regular liver function testing performed to ensure their medication is not causing damage. Obesity also can increase the risk of developing some types of liver disease. Liver disease diagnosis begins with a physical exam and a review of the patient’s symptoms and medical history, followed by a blood test to look for markers associated with liver damage or dysfunction. If damage is suspected, diagnostic imaging using ultrasound, CT scan or MRI may be ordered a biopsy procedure may be performed using a hollow needle to extract a small sample of liver tissue for evaluation under a microscope. What if I have liver disease? Liver disease treatment depends on the underlying cause of disease and the extent of damage to the liver. Many types of liver disease can be treated with medication and lifestyle changes, like avoiding alcohol consumption or certain medications. When damage is more extensive, surgery or a liver transplant may be necessary.